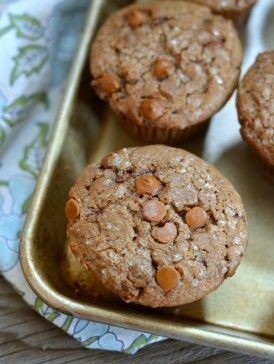 Anybody who’s ever enjoyed a latte at Starbucks will really go for these tasty “Cappuccino Muffins” studded with ground espresso and loaded with cinnamon chips. Everybody else will enjoy them, too! Add a crunchy, sugar topping and they’re absolutely mouth-watering. For the granulated sugar in this recipe, you may want to substitute a healthier combination of maple syrup and honey: just swap out even amounts to replace the sugar. Follow this link to read more about Popular Natural Sugar Substitutes. 1. Preheat oven to 350F degrees. 2. Line a standard 12-cup muffin tin with muffin liners. 3. Combine flour, baking powder, cinnamon, salt and espresso powder in a bowl; set aside. 4. In a large bowl, mix the melted butter, egg, sugar and vanilla extract using a whisk. Whisk to combine throughly. 5. Alternate adding the flour mixture and milk, stirring just to combine everything evenly. 6. Stir in cinnamon chips. 7. Divide the muffin batter among the muffin tins. 8. Bake for 22-25 minutes, or until the muffins are lightly browned and cooked all the way through. 9. Remove muffins from oven and let cool on a baking rack. 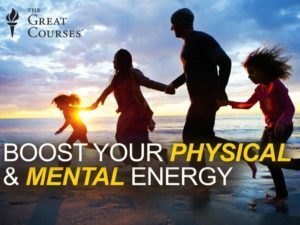 If you would like to see more healthy recipes for early morning energy, then please Like our Facebook Page! [Video] Have Some FUN with These CRAZY BREAKFAST Ideas! In which grocery store can we find some cinnamon chips?